Blue Valley Northwest High School (Dawg House), "The Spot"
School store sells candy, snacks, beverages, spirit novelties, and apparel items. 1-POS Station, PRM. Blue Valley West High School (Overland Park), "The Spot"
Hutchinson Voc. Center (Hutchinson), "Hawks Nest"
School store sells candy, snacks, beverages, spirit novelties, and apparel items. 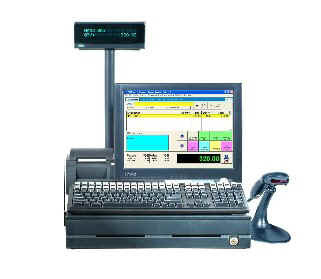 1-POS Station, Smart Keyboard PFW. Lawrence High School (Lawrence), "The Lions' Den"
School store sells candy, snacks, beverages, spirit novelties, and apparel items. 2-POS Station Network, Smart Kybd, PFW. Lawrence Free State High School (Lawrence), "The Bird's Nest"
Leavenworth High School (Leavenworth), "Petes Place"
Louisburg High School (Louisburg), "Cat's Alley"
Maize High School (Maize), "Spirit Central"
Maize South High School (Valley Center), "The Bull Pen"
Mulvane High School (Mulvane), "Wildcat Cafe"
Valley Center High School (Valley Center), "The Buzz Barn"
Wichita East High School (Wichita), "The Ace Place"
Wichita North High School (Wichita), "Butch's Corner"
School store sells candy, snacks, beverages, spirit novelties, and apparel items. 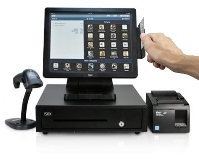 3-POS Stations, Smart Keyboard, PRM. Wichita South High School (Wichita), "The Titan Mart"
Wichita South East High School (Wichita), "The Coral"
Wichita West High School (Wichita), "The Trading Post"